Few GA aircraft and helicopters have windshield wipers. After long periods parked on the apron, a mixture of AVGAS, MOGAS and other environmental influences form on the cockpit windshield. This can cause visibility problems even when taxiing at low speed. a clear, non-irritating line of sight is a significant safety factor not just in the final approach. 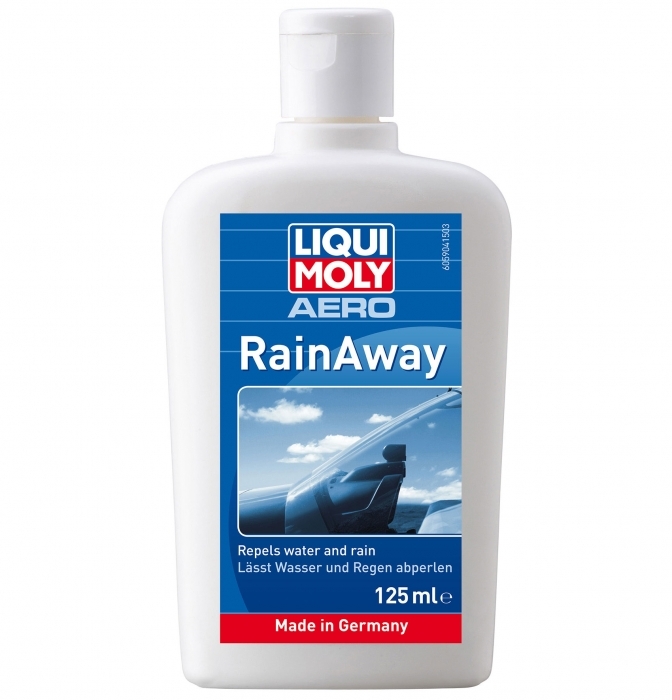 LIQUI MOLY AERO RainAway has been specially tailored to the needs of general aviation.